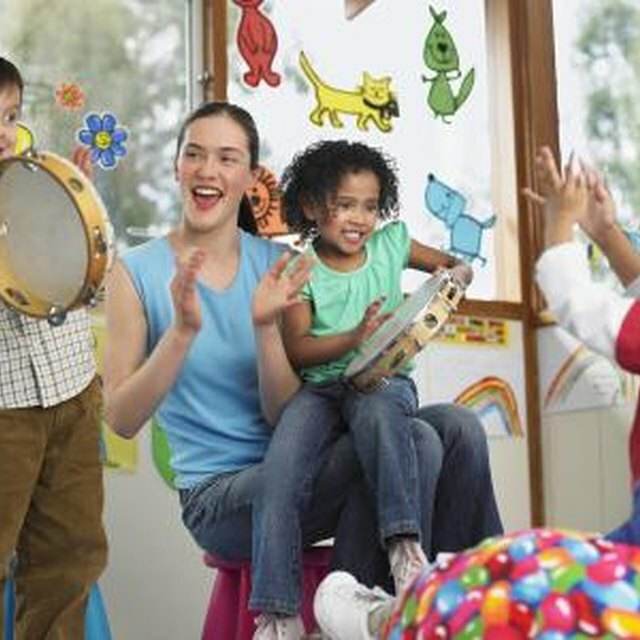 Encourage preschoolers to have fun while learning shapes. Learning shapes is one of the goals of the preschool curriculum. Introducing a shape a week allows preschoolers to focus completely on each shape over five days, ideally by completing one shape-related activity per day. Show the square. Hold up a cardboard cut-out of a square and talk about it with the students. Count the sides and corners together. Pass it around so each student can examine it up close. Compare the squares. Compare the square shape to other shapes in the classroom or outdoors. Ask students to find other shapes in the world around them, then decide if the found shapes are squares or not. Make a collage. Provide each student with small construction paper squares of different colors, a glue stick and a large sheet of construction paper. Students should glue the small squares on to make a collage. Older preschool students can cut out their own squares. Sort the squares. Give each student an assortment of pattern blocks (small, plastic blocks that come in square, triangle, trapezoid, hexagon and parallelogram shapes) and have them find all of the squares. Color the square. Give each student a page with a square or squares on it (you can make your own or print one). Have them color the squares with crayons. Collect and save so that after completing all shapes you can staple it into a shape book for them. Show the triangle. 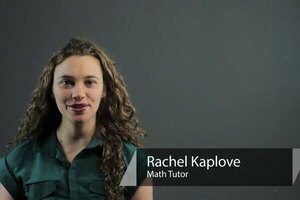 Hold up a cardboard cut-out of a triangle and talk about it with the students. Count the sides and corners together. Pass it around so each student can examine it up close. Compare the triangles. Compare the triangle shape to other shapes in the classroom or outdoors. Ask students to find other shapes in the world around them, then decide if the found shapes are triangles or not. Make a collage. 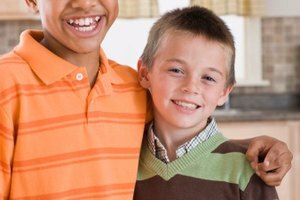 Provide each student with small construction paper triangles of different colors, a glue stick and a large sheet of construction paper. 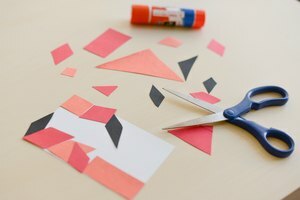 Students should glue the small triangles on to make a collage. 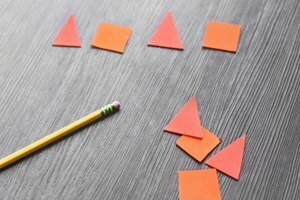 Older preschool students can cut out their own triangles. Sort the triangles. Give each student an assortment of pattern blocks (small, plastic blocks that come in square, triangle, trapezoid, hexagon and parallelogram shapes) and have them find all of the triangles. Color the triangle. Give each student a page with a triangle or triangles on it (you can make your own or print one). Have them color the triangles with crayons. Collect and save so that after completing all shapes you can staple it into a shape book for them. Show the circle. Hold up a cardboard cut-out of a circle and talk about it with the students. Pass it around so each student can examine it up close. Compare the circle. Compare the circle shape to other shapes in the classroom or outdoors. Ask students to find other shapes in the world around them, then decide if the found shapes are circles or not. Make a collage. Provide each student with small construction paper circles of different colors, a glue stick and a large sheet of construction paper. Students should glue the small circles on to make a collage. Older preschool students can cut out their own circles. Sort the circles. Give each student an assortment of blocks, buttons or magazine cut outs and have them sort out the circles. Color the circle. Give each student a page with a circle or circles on it (you can make your own or print one). Have them color the circles with crayons. Collect and save so that after completing all shapes you can staple it into a shape book for them. Choose other shapes. Decide what other shapes you will introduce to preschoolers. Repeat the steps in Section 3 for each of the other shapes you want to introduce to preschoolers. Make shape books. Collect all of the coloring pages from each week and staple them together so that each child has her own shape book. You can use construction paper for covers for each shape book and let each child decorate his cover with shapes. Provide shape activities during free play time as well as during math time. Allow students to play with regular blocks and pattern blocks. Provide shape cut-outs for gluing into multi-shape collages at the art table. Don't skip a day of activities even if there is a snow day or some other change in the schedule. It's more important to give preschoolers five days to really become familiar with a shape than it is to introduce a new shape every Monday. Zimmerman, Jennifer. "How to Introduce a Shape Each Week to Preschoolers." 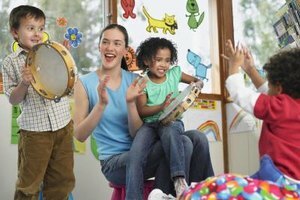 Synonym, https://classroom.synonym.com/introduce-shape-week-preschoolers-8164738.html. Accessed 23 April 2019.